In an effort to alleviate the difficulties commuters face on a daily basis both on cars and motorbikes while traveling from the 26th gate community to Kakata, the management of Firestone-Liberia on Wednesday, February 13, 2019 embarked on the rehabilitation of a 5mile road in the County. The rehabilitation of the road comes in the wake of a request made by Margibi County Senior Senator Oscar A. Cooper to the Firestone Management since 2018 seeking their intervention. 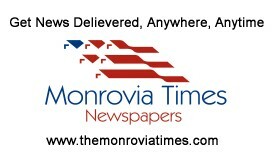 Speaking to The Monrovia Times at the project site, Senator Cooper said in 2018 he asked the former general manager of the Company; Emunddo L.Garcia to help rehabilitate the road so as to ease the difficulties commuters continue to face, but it was not the case. The Senator said after Mr. Garcia left the Country, the new general manager through another top official called him and said the management has agreed to help rehabilitate the road as part of their social responsibility. “Yes I see that Firestone mobilized a lot of equipment you can see her, they got two graters, they got one D-6, they got a nine six-six so they get a lot of equipment on this road and it is very good to see that” Senator asserted. He said the implementation of the project clearly shows that there is a good working relationship between Firestone and the people of Margibi County thereby thanking the Firestone management for honoring his request. The Margibi Lawmaker added that as a Senator of the County he has to do community-based projects terming the 26th gate community to Kakata road project as good initiative that will benefit the citizens including him. “Well you don’t have to get complain myself can use the road, I can use this road to go to Firestone, Unification Town and Marshall” he responded to reporter’s question. Meanwhile, Senator said the team rehabilitating the road informed him that the project will be completed between Friday, February 15 and Saturday, February 16, 2019. In a related development, residents of the 26th gate community have hailed Senator Cooper and the Firestone management for their interventions stating that the road when completed, it will not only bring relief to those commuting from Firestone to Kakata but they will also benefit because they also ride bikes to get to other places using the same route.